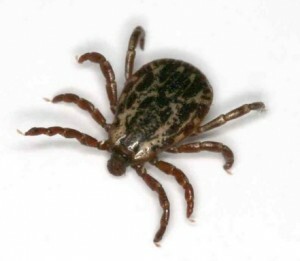 That shortly after you lost a tick in the expansive family room in the house where you’re staying while your house gets renovated, you start to feel little tickles on your skin. This happens mostly when you’re napping in the recliner in that same family room – and it happens late at night when you’re alone. Then, one night when you’re puzzled to see what all the fuss is about, you go to the full-length mirror down the hall and you pull up your shirt. Akin to the writhing snakes of Indiana Jones, you have a writhing mass of ticks embedded in your chest quickly sucking your torso dry of blood and other fluids. Before you can respond by bathing in lighter fluid or encasing yourself in Vaseline, the tick army has literally sucked the life out of you and you collapse in a heap on the hardwood floor. The cat, protected by Frontline, wanders by your lifeless corpse and bats at your face a few times before getting bored and moving on to other worthwhile pursuits.